More bookings and income with GrabCar Economy’s new fares! … more jobs means HIGHER EARNINGS for you! *note: commissions apply as usual. Get up to 50% commission rebate on your off-peak GrabCar Economy trips! 4. 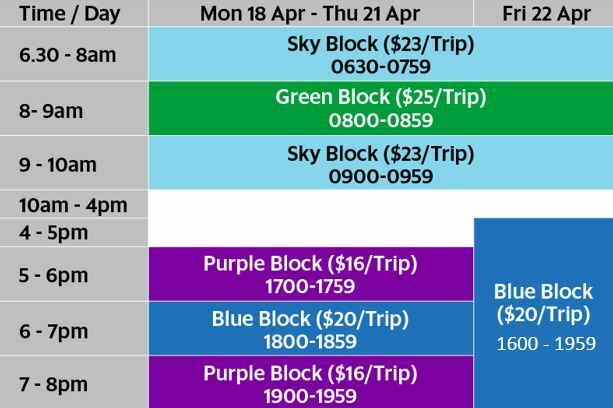 PEAK: Up to $25 PER TRIP in average fare guarantees! With more customer bookings after our price adjustment, you’ll definitely earn more as we’ve also kept the same guaranteed average fare scheme as last week. Stay tuned for more incentives for the weekend! Note: Eligibility Criteria & T&Cs apply to all incentive schemes above. Click here for full incentive details.